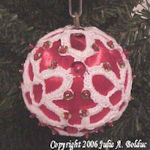 Snowflake Ball Ornament -- A free Crochet pattern from Julie A Bolduc. This ball is fun to make. 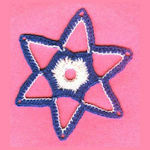 It is done in two pieces that are stitched together on the last round of the 2nd piece. 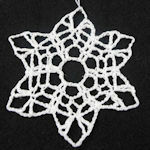 It has a snowflake on the top and one on the bottom stitched together with a band of large open mesh around the center of it.